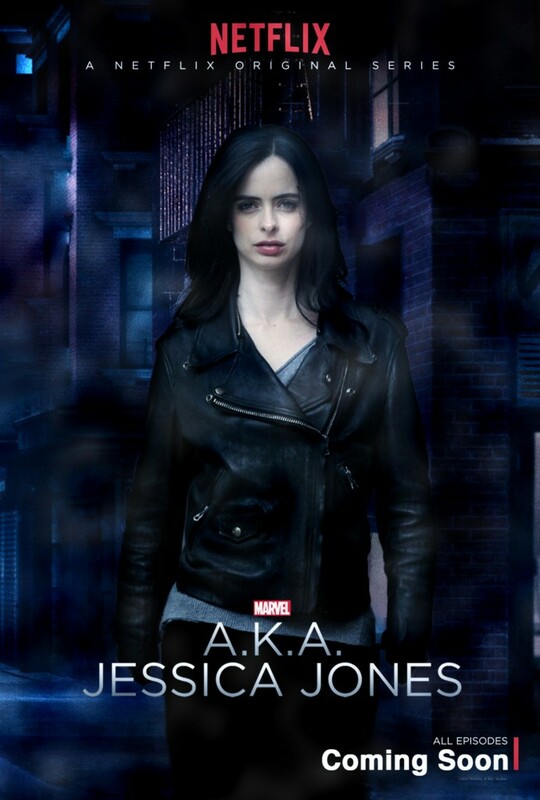 Netflix Gives Us A Glimpse At ‘Jessica Jones’ & She’s NOT A Morning Person!!! Netflix is getting us ready for their debut of superhero series ‘Jessica Jones‘ with a peek into her world with a new trailer. I love Krysten Ritter and adore David Tennant so I will be definitely checking this one out when it debuts November 20 in true Netflix fashion with a full season available at 12:01 am on the 20th. Ever since her short-lived stint as a Super Hero ended in tragedy, Jessica Jones has been rebuilding her personal life and career as a hot-tempered, sardonic private detective in Hell’s Kitchen, New York City. Plagued by self-loathing, and a wicked case of PTSD, Jessica battles demons from within and without, using her extraordinary abilities as an unlikely champion for those in need… especially if they’re willing to cut her a check. This entry was posted on Saturday, September 26th, 2015 at 7:15 pm	and is filed under Comics, News, Television. You can follow any responses to this entry through the RSS 2.0 feed. You can skip to the end and leave a response. Pinging is currently not allowed. « Film Review: ‘Hotel Transylvania 2’!